Anindita Pal Dey in a file photo. 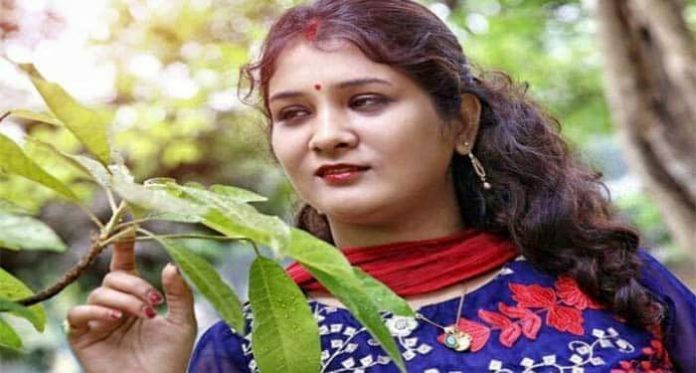 Kolkata: Police have detained the widow of Calcutta High Court lawyer Rajat Dey in connection with his mysterious death. A team from New Town police station comprising two female police personnel and the male investigation officer of the case went to the deceased lawyer’s flat at New Town DB Block today noon and detained his widow Anindita Pal Dey. Anindita was not handcuffed but at the same time, she was not allowed to walk into the police vehicle on her own. The two female police personnel held her by the arm and ushered into the vehicle. On being asked by reporters as to why she was being taken to the police station, Anindita, who too is a lawyer, said that police want to question her further and affirmed that she has not been arrested. Significantly, the police move came after Bidhannagar Police commissioner Gyanwant Singh personally came down to New Town police station earlier in the day and held a nearly two-hour meeting with the team investigating the lawyer’s death. 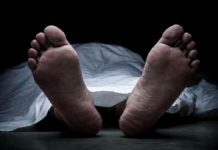 Police had on Thursday converted the case from being one of unnatural death to a murder case after post-mortem report said that the 34-year-old lawyer died due to chocking of his windpipe. 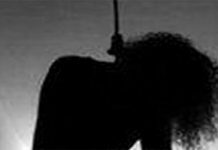 This made Anindita claim after six days of the incident that her husband committed “suicide” by hanging. 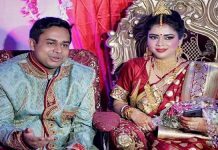 Sources said that it is now only a matter of time for Anindita’s arrest for the destruction of evidence at this juncture if not for playing a direct role in her husband’s death.